. Slack-Davis J K, Martin K H, Tilghman R W, et al. Cellular characterization of a novel focal adhesion kinase inhibitor[J]. 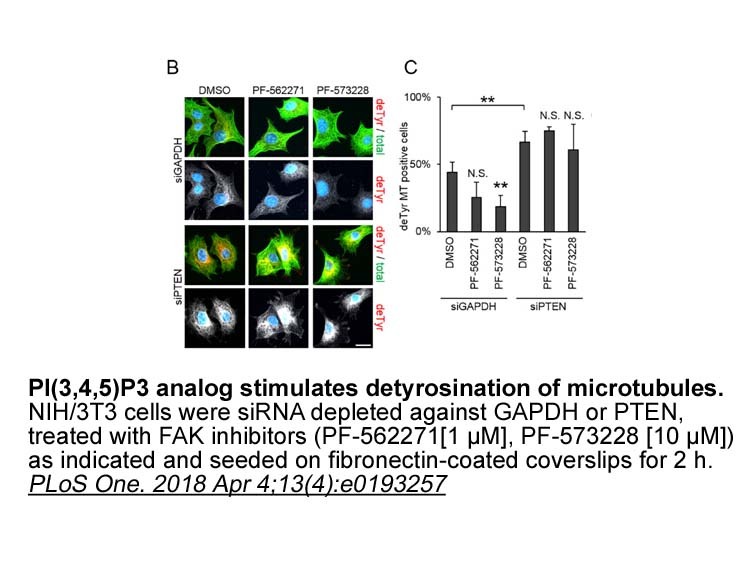 Journal of Biological Chemistry, 2007, 282(20): 14845-14852.
. Slack-Davis, J.K., et al., Cellular characterization of a novel focal adhesion kinase inhibitor. J Biol Chem, 2007. 282(20): p. 14845-52.
. Golubovskaya, V.M., Focal adhesion kinase as a cancer therapy target. 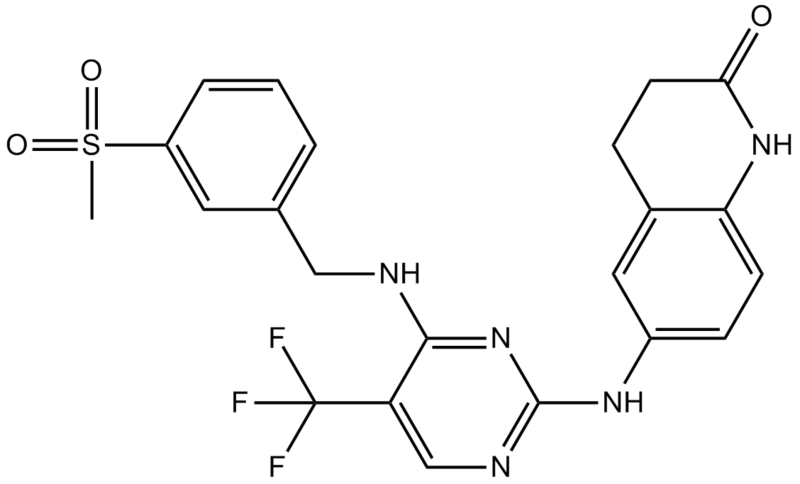 Anticancer Agents Med Chem, 2010. 10(10): p. 735-41.
. Cabrita, M.A., et al., Focal adhesion kinase inhibitors are potent anti-angiogenic agents. Mol Oncol, 2011. 5(6): p. 517-26.
. Al-toub, M., et al., Pleiotropic effects of cancer cells' secreted factors on human stromal (mesenchymal) stem cells. Stem Cell Res Ther, 2013. 4(5): p. 114.
. So, E.C., et al., Evidence for activation of BK Ca channels by a known inhibitor of focal adhesion kinase, PF573228. Life Sci, 2011. 89(19-20): p. 691-701.